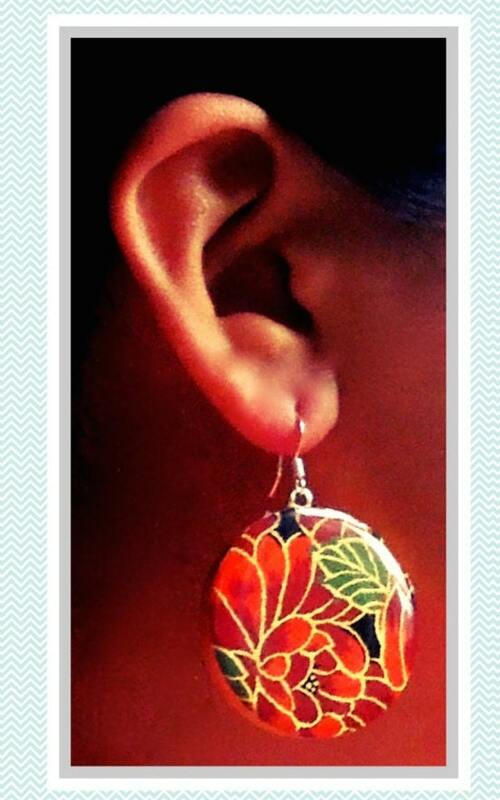 *Please note that we are no longer using the earring hooks that are pictured. We have switched to slightly darker hooks, made from nickel-free titanium. 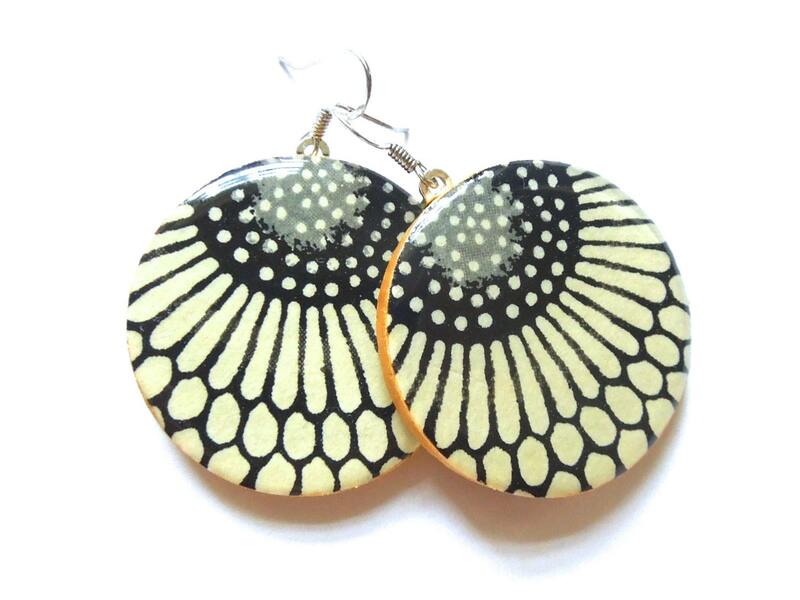 1.5-inch circle earrings with a black and white design (the larger design is a flower), made from Japanese chiyogami paper on wood circles. 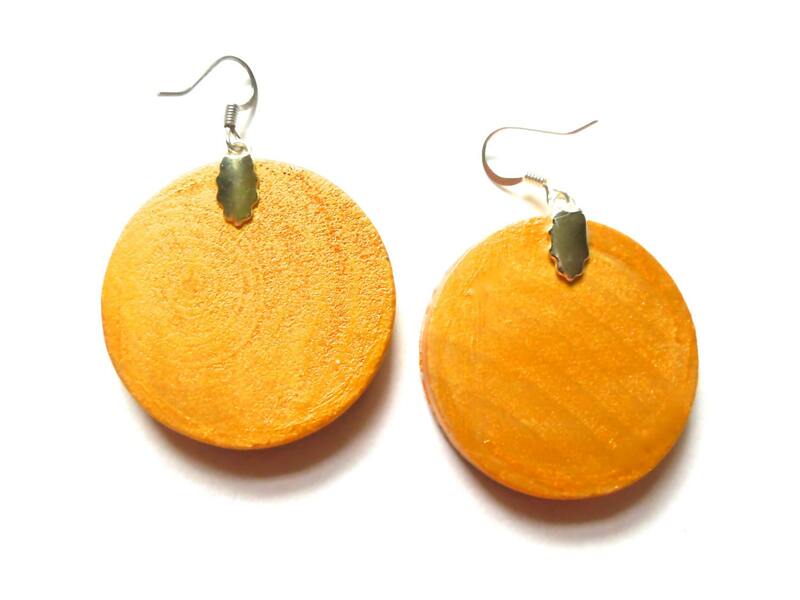 Backsof earrings are painted gold. Water-resistant.